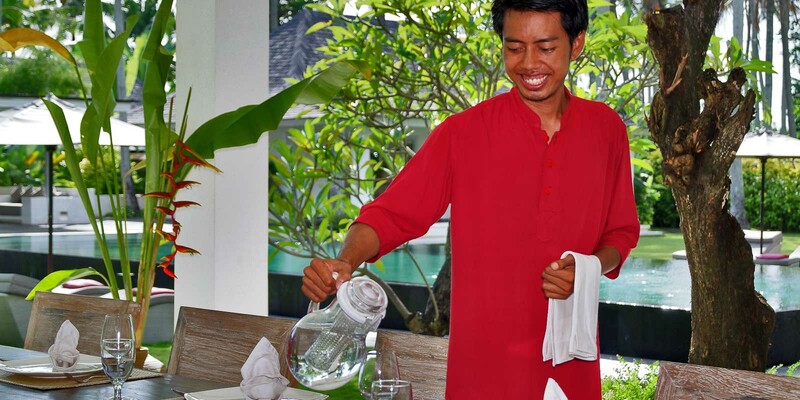 Villa Matahari is fully staffed with a professional and well trained crew that will always do their best to give a 5 star service attending all guests with a sincere smile and adjusting their schedule as much as possible to meet guests' needs. Will be your main contact for any doubt, advice, or problem should happen during your stay in the Villa. Exquisitely trained in the preparation of both Indonesian and International cuisine, our Chef will provide an extensive Menu for your tasting and will do all the necessary market shopping without surcharges. They will be responsible for housekeeping duties and to provide waiter service. Responsible for tending the pool, garden, and cleaning the grounds of the villa. They will patrol the grounds guarding the entrance of the villa and will assist you during the night when the rest of the staff is resting. Upon request and by surcharge, our professional english speaking drivers will take you to discover the secrets of Bali. Upon request and by surcharge, our fully trained spa therapists will visit the villa to offer a wide range of spa and massage treatments.